Our Discord server shows weekly updates on our traffic so you're always aware of your surroundings and competition. Within our first month we have reached a ton of visitors. We have been and still are growing until this day. Our Discord server offers almost 15 hours per day support incase anything happens or if you have any questions. Check out some of our key features below and find out for yourself! Our system is ready for any sort of hacker. We use Discord's 2Auth system with hashed sessions through BCRYPT, meaning hackers will have a hard time entering. Our website is extremely easy to use and is fully mobile friendly. 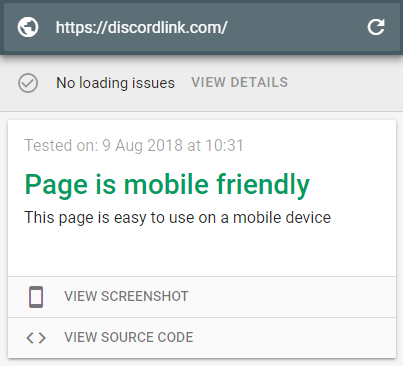 Meaning DiscordLink will look great on every single device! We need funds in order to keep DiscordLink up and running. This is why we offer premium services to our supporters. DiscordLink has several features that will change the Discord world. DiscordLink can be visited from any country at any time, this will ensure our traffic peaking at all times around the world. DiscordLink has a feature called "Mystery Server" that will allow you to easily find your favourite server. DiscordLink offers a unique dashboard for every single user. This will guarantee a fast and quick way to manage all your servers. DiscordLink has quickly turned into a favourite for many of our new users. This is mostly because of our clean and modern design. Our system runs on a custom MVC (Model View Controller) which will guarantee a fast pageload speed on our end. Grab your own subdomain and turn your long URLs into an easy discordlink.com/page/name url!